Last week we reached Porto on Tuesday after the long drive around midday. Arrived at our campingsite after a small tour through the city. Already liked the city right after the few impressions we got, so we decided to take a one and a half hours ride by bus to get back. The bus driver was racing like a wild boar on speed through the streets just like to scare away an enemy from his kids. I would not want to sit drunk in this bus, without heating on board and partly with open doors. A beautiful adrenaline experience for everyone. In Porto we walked through the historic center. Simply stunning and beautiful. We walked through the narrow streets down to the river and the bridge Ponte Luís I. 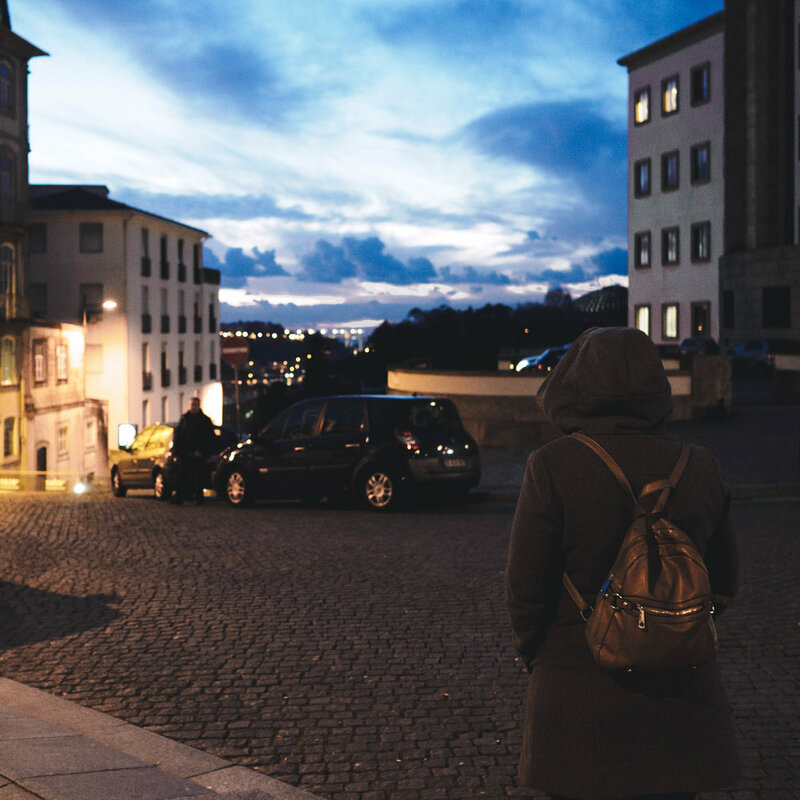 The construction of the bridge calls some losses for some residents of Porto. Thus, the upper line was built across a house. It’s pretty romantic when the tram goes through your living room. 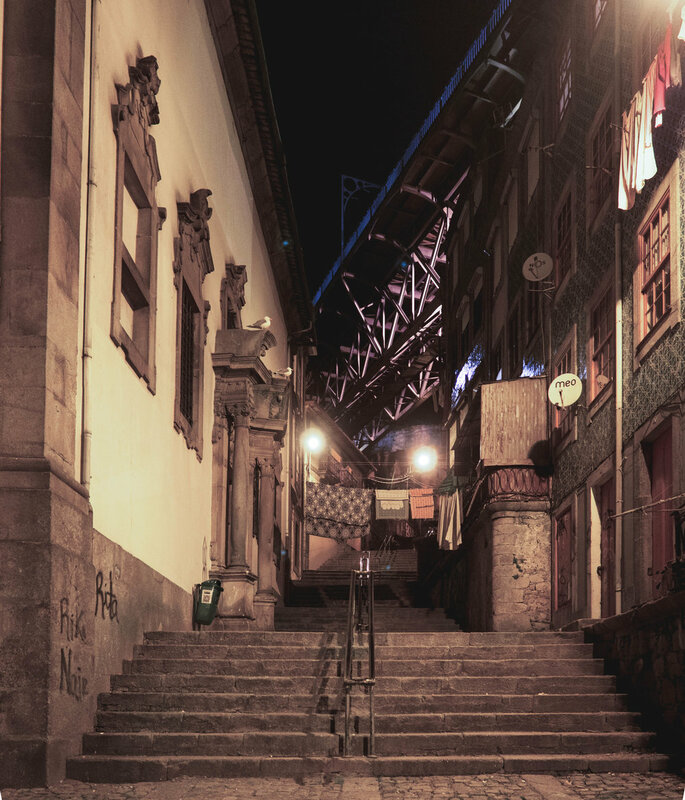 Nevertheless, Porto is a wonderful city. With the vivid architecture by renowned Portuguese architects. The combination of old and modern architecture in a wonderful mix. 237,000 people live in the economic capital of Portugal which are very kind people. In the city we met up with Daniel and his friends Luís, Rodry and Márcio to spent a wonderful day together. We walked through the streets, drinking coffee, photographing, having great conversation and lots of laughs. After the others had to leave we drank a few beers with Rodry at his favourite bar just to get a great dinner afterwards. 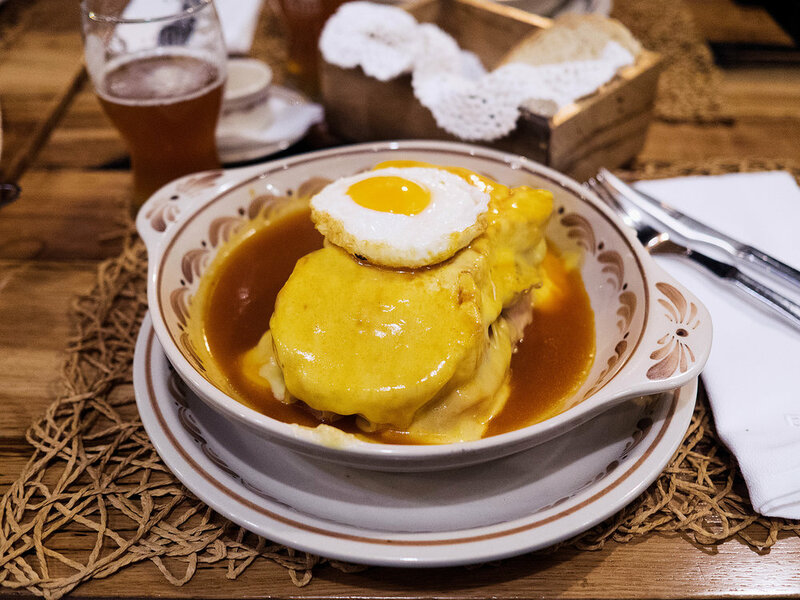 A must in Portugal is the typical dish Francesinha, which comes from Porto and tastes there the best. The little French consists of bread, Linguica, steak, sausage and served with melted cheese and a hot delicious secret sauce. Fantastic.